Based on my experience, a Subscription Email form or Subscription Box is a widget that is more important compared to RSS feed icon itself because of the fact that people love to receive your post updates in their email inboxes rather than viewing your RSS feed. So make sure to make your Email From as eye appealing and eye catching as possible to attract more readers. On this article I will be discussing how to add subscription box for blogger blogs powered by feed burner on which I believe to be one of the weapons that every blogger should practice and master for a better result. We all want a good result on our endeavors online and it is good that we know this thing. Your post update is the basis of every reader who have subscribed to you when it comes to their interest in reading. Remember, if you have good content in your site, you will surely be visited often and you will make it easier for your visitor to find you if you have an organized subscription box. Some are taking this for granted and I would like to tell you that it pays to give importance to this. It really pays. Step 4: Copy the HTML code for the email form and paste it in Notepad first because will modify this code for more eye catching appearance. 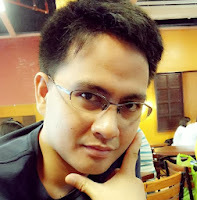 Step 5: Now, Login to your Blogger Account using your Google account. 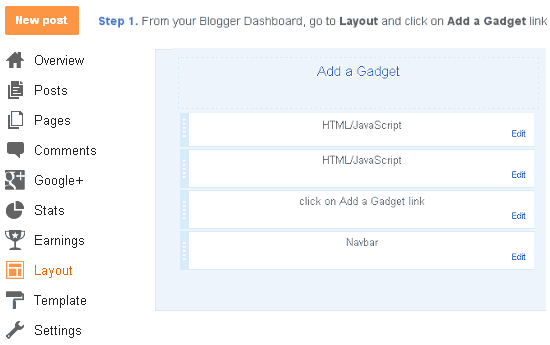 Go to Blogger Dashboard.then Click on Layout tab from left pane and click on Add a Gadget link. Subscribe Now by E-mail and Receive Free Updates of these Blogging TIPS and TRICKS Straight to Your Inbox! Link of your Email Icon: This refers to the URL of your Email Icon. Please first choose a Email Icon of your choice. 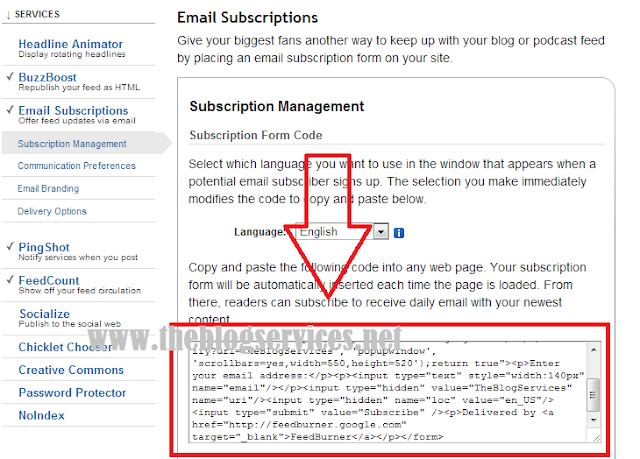 http://feedburner.google.com/fb/a/mailverify?uri=TheBLogServices : Replace this URL with the URL in the notepad code. TheBLogServices: Replace this text with your Feed Title. Subscribe : This is the text that appears on the Email button. You can change it to anything you like. For Instance: Submit, Hit Me, Join Me etc.